Basically all I had to do was modify the neck post on the CW44 Ahsoka to be able to fit the new Scuba Ahsoka head onto her. Even with the head being smaller than the CW44 version, it doesn’t look out of place and in fact seems to be in scale better than the original head. Outfitted her with an extra CW31 Shaak Ti Jedi robe to finish her off. This entry was posted on April 21, 2012 at 8:55 am and is filed under Custom Figures, The Clone Wars. You can follow any responses to this entry through the RSS 2.0 feed. You can leave a response, or trackback from your own site. 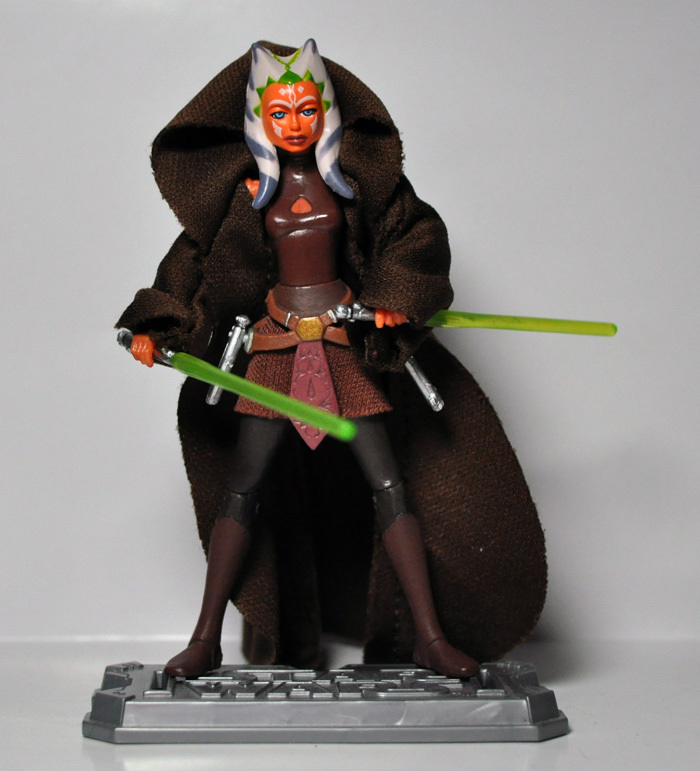 Excellentideausing the Scuba Ahsoka head on the older Ahsoka body.